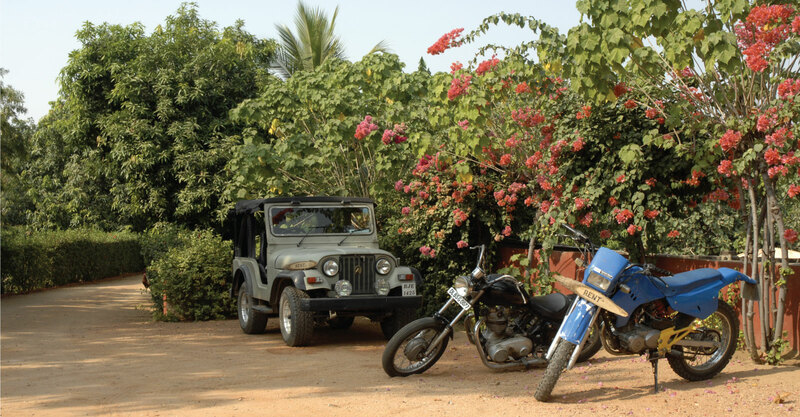 Surrounded by the arid Aravallis, Pushkar has a lot to offer for the adrenaline junkie. While the early morning trek to Savitri temple is worth every effort for the breathtaking view of the sunrise & the town, hot air ballooning is ideal to get a bird's-eye view of the ancient city. The night camel safari during the busy Pushkar Fair is the perfect way to experience the nomadic vibe of Pushkar. Trek to the wadi for a panaromic view of the landscape, or a drive to the historic Pisangan Fort are some of the recommended activities for those looking to experience to city in its authentic form. Pushkar is best explored through bicycle rides through the town's winding narrow lanes for those with a sense of adventure to truly capture the city in its element. While at the resort, fruit picking in the orchards and rose harvesting are other highly recommended activities.